This week I am writing our week in pictures post day by day. I often find that when Sunday arrives I struggle to remember what we have done. It should also save me some valuable time! Monday really was a day of contrasting weather. 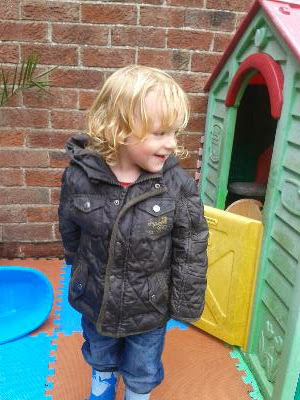 In the morning after the school run we enjoyed the sunshine and played in the garden. After lunch the weather turned into rain and thunder storms. 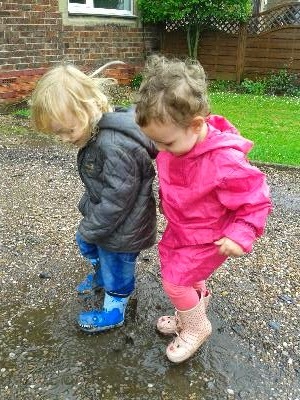 However the bad weather did result in lots of rainy day fun and puddle jumping! 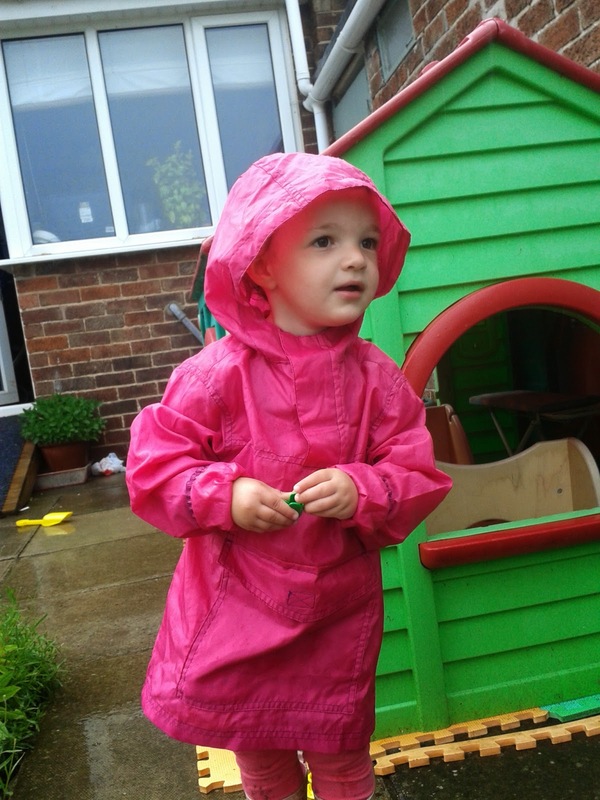 After we collected Joseph from school the twins headed straight for the puddles and enjoyed playing in the rain for a while. Tuesday was another day of two halves, like Monday it started off glorious. We spent most of the morning and afternoon in the garden. 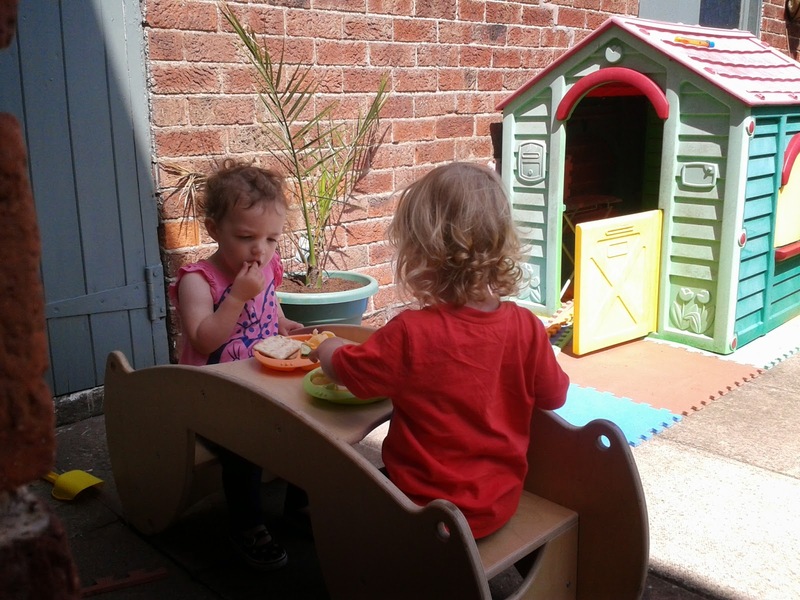 The twins even enjoyed a garden picnic. However after tea time the weather changed completely. 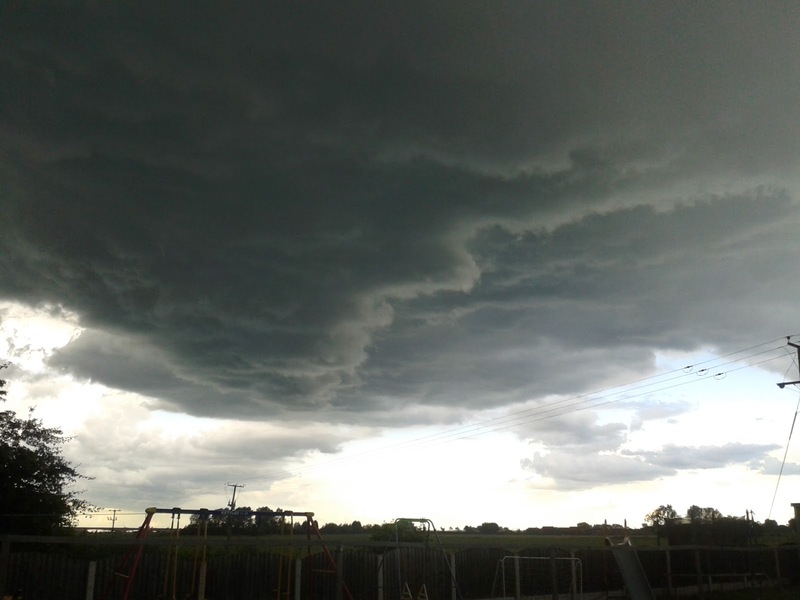 We had a bad storm of thunder, hail stones, rain and wind. It really was a freak storm. After half an hour it was sunny again! We just hope the hail, which was huge, hasn't damaged the vegetables! 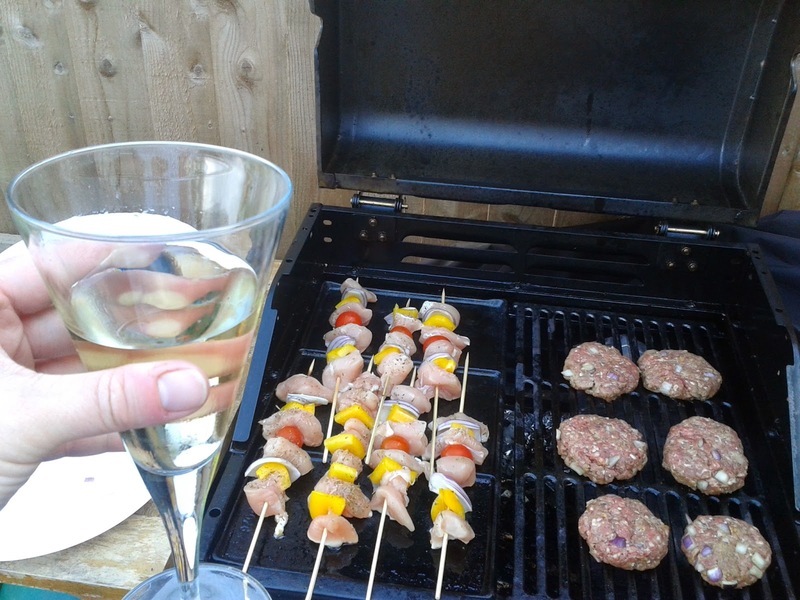 Wednesday was another beautiful day and was perfect for a BBQ! It has been lovely being able to sit and eat outside. Taylor was in the wars though, I think he must be having a spurt of growth because he is so clumsy. He fell and grazed his knee on Tuesday and then did the same on Wednesday and grazed the same knee. 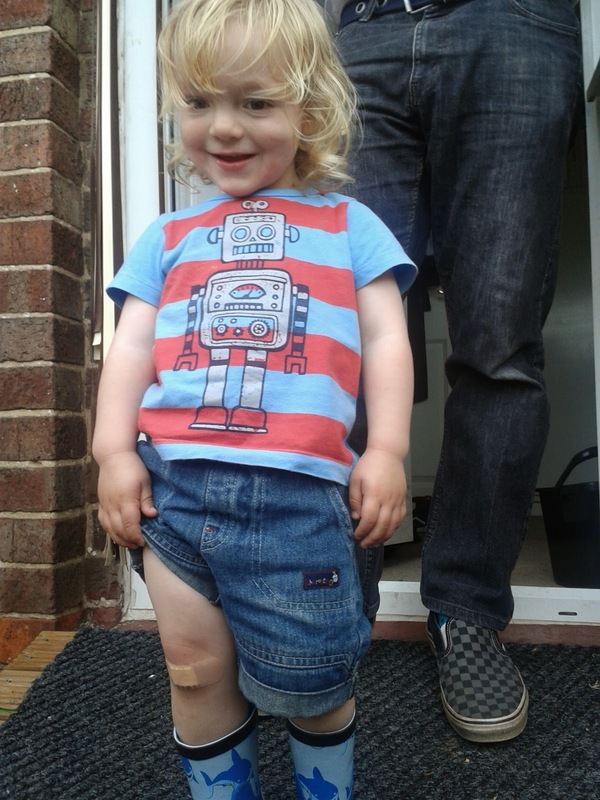 Here he is looking very proud of his first plaster! On Wednesday I made a strawberry and mint ice cream. I was excited to taste it on Thursday and I certainly was not disappointed! The recipe will be posted this week! Friday was the day I had had been looking forward to. On Friday the hubby and I went to the Good Food Show and Gardeners World Live. I was over the moon to have a media pass and bought the hubby his ticket for fathers day. I will be writing all about our fantastic, but tiring day this week! Saturday was my mums birthday. So I had the perfect excuse (like I need one!) to make some cakes with a new cake tin that I bought at the Good Food Show. I have been looking at the tin for months and as it is my birthday (Sunday) the hubby let me go mad in Lakeland so one of the first items I went for was the cake tin to bake mini cakes! Today is my birthday, another year older! I am just having a regular Sunday. Baking, blogging, and being with my family. To be honest it doesn't really feel like my birthday, I guess that's what happens as you get older! I feel like we really celebrated on Friday as I had birthday money to spend and bought lots of treats. We finished Friday off with a lovely bottle of wine, cheeses, olives and meats. I'm not sure which to comment on first! I totally want to see the recipe for strawberry and mint ice cream - sounds so lush! And are those mini victoria sponges? They look like coffee shop cakes. HAPPY BIRTHDAY TO YOU :-) Love the #silentsunday can I actually see his sting? Both my two were so proud of their first plaster, bless them! I love the photo of the 3 of them on the swing, I can't believe how tall your eldest is!! i hope you enjoyed your birthday. and the Good Food show sounds amazing - look at you hob nobbing with the famous chefs! You mini victoria soinges looks yummy too. I really should try and do mine daily - then I might not miss a week! I love your Silent Sunday photo and that one of the clouds on Tuesday. The ice- cream looks luscious too and looks like you had a great day out at the Good Food Show - we went once ages ago but it is quite far for us. Happy belated birthday! the pic with Joseph in the middle of the swings is brilliant a contrast between the sizes. Shorts have the draw back of being sore on the knees. Love the moody clouds on tuesday and belated happy birthday to your mum sure she is chuffed we all know her age.